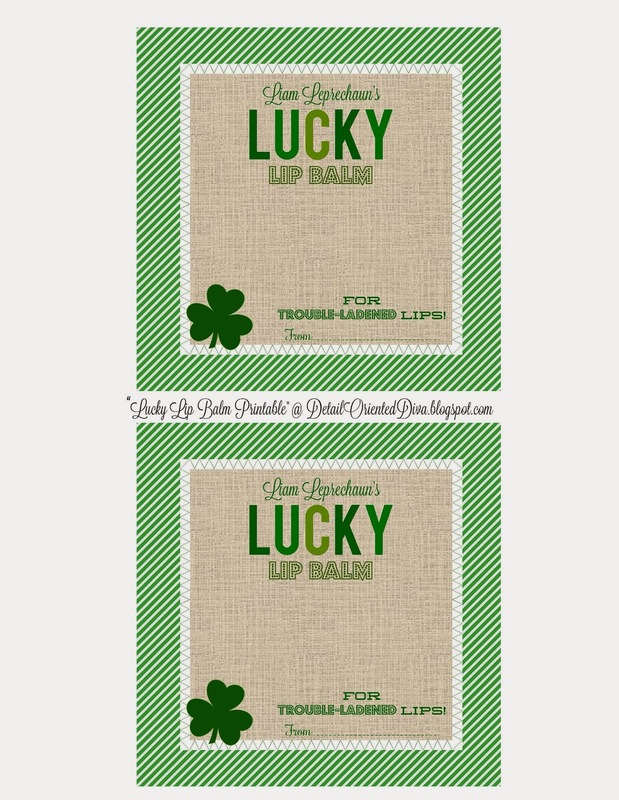 I have begun working on the Kiddos' St. Patty gifts for their teachers and I am quite proud of how ahead of schedule I am. I decided to do chapstick since it is quite inexpensive and whose lips don't need a little lovin' at this time of year? 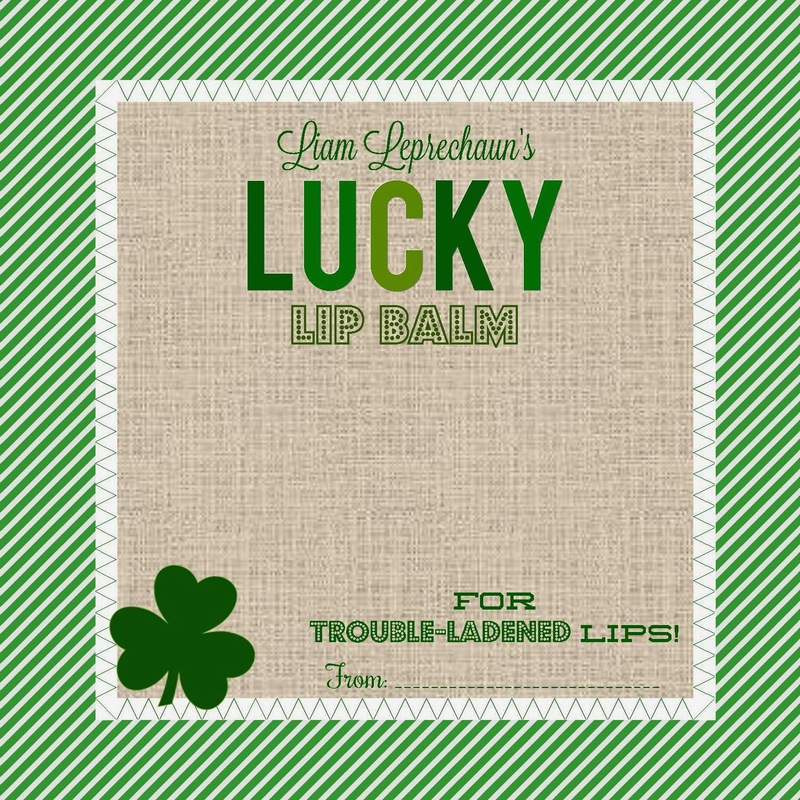 I even gave it a clever name- Liam Leprechaun's LUCKY Lip Balm! You can use any brand but I chose Blistex. I realy wanted to use this "Yes to Carrots" Lip Butter but couldn't find any in store. It's pricey, but worth every penny! Any lip balm will work, and it doesn't even have to be green. 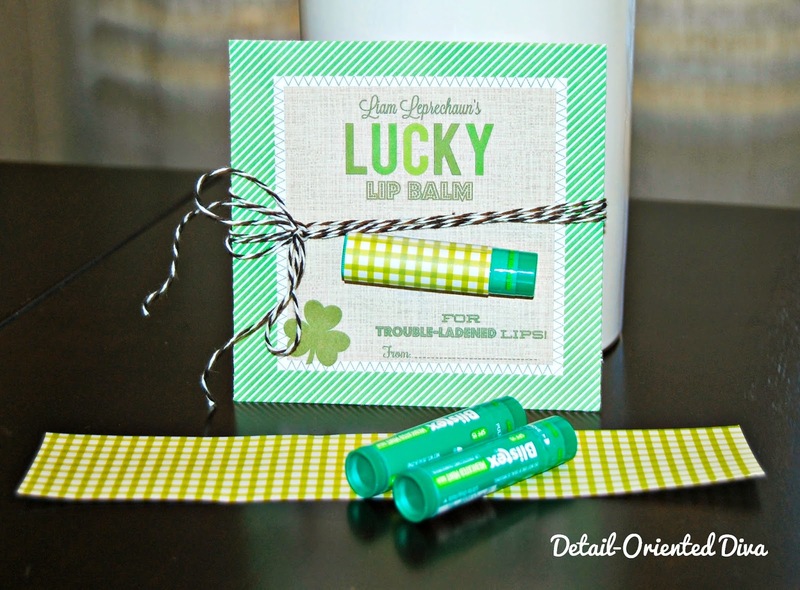 Print out the printable and and trim some green scrapbook paper to fit the width of the bottom portion on the chapstick. Roll the chapstick in the paper and fasten with tape. 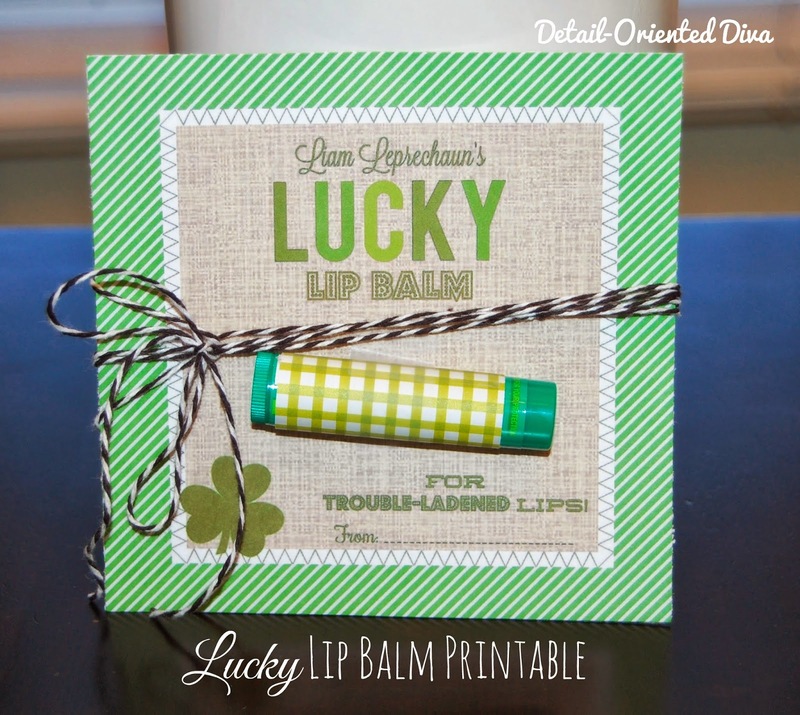 Then use tape to fasten the chapstick to the card. 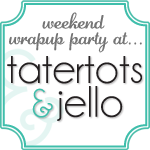 Dress it up with baker's twine or the embellishments of your choice. Printable download link for subcribers here. You really are ahead of the game! Lip balm is always a great gift.